Our client, Mrs A, was forced to self catheterise six times a day, and will have to do this for the rest of her life, also suffering from recurring urinary tract infections after the Hospital negligently managed her urinary retention following a laparotomy operation. James Cahan obtained £175,000 for Mrs A in compensation for her injuries. Mrs A was 58 years old when she first felt a pain in her abdomen. A CT scan confirmed the presence of an ovarian cyst. The decision was then made to proceed with a right ovarian cystectomy and removal of Mrs A’s right salpinx. This procedure took place just over a week later under general anaesthetic. Following the excision and removal of the cyst, a Foley catheter was put in place. This was then removed 2 days later. The day after the removal of the Foley catheter, a bladder volume of 990ml was recorded. Despite noting this, the Hospital waited an hour before fitting a new catheter and draining Mrs A’s bladder, by which point the level of urine had more than doubled to 2,000ml. A normal bladder volume is around 400-500ml, so this was grossly overfilled. Mrs A remained unable to pass urine and, after further delays to drain her catheter, a further 1,700ml was drained later that day. Two days later the catheter was removed again. By 14:55pm it was noted that Mrs A could not pass urine and a bladder scan revealed that Mrs A had 650ml of urine remaining in her bladder. Despite a consultant recommending that Mrs A should be catheterised, this was not done until 3 and half hours later. At 19:00hours a further 1000ml of urine was drained. The next day, Mrs A felt very uncomfortable and distressed with a feeling of fullness in her bladder. Mrs A was discharged the same day with no antibiotic treatment. Two days later Mrs A was readmitted to the Hospital with an untreated urinary tract infection, where she remained on intravenous Gentamicin and Augmentin and it was thought she may have suffered sepsis. In the month that followed, Mrs A struggled with intermittent self-catheterisation when the Foley catheter was removed, which caused great suffering, both mentally as well as physically. Mrs A has had to self-catheterise up to six times a day ever since, and has suffered with almost continuous urinary tract infections and other associated complications as a result. These problems were caused by the repeated, gross overfilling of her bladder, and this damage is now permanent. James Cahan, a specialist clinical negligence lawyer, acted on behalf of Mrs A. Southend Hospital initially admitted some of the breaches of duty alleged, however they argued that because of pre-existing bladder dysfunction, Mrs A would have suffered with bladder problems in any event. James issued proceedings in the High Court and obtained specialist medical expert evidence from Consultant Urologist Mr Roland Miller. Following the formal exchange of expert evidence James was able to successfully negotiate an out of court settlement of £175,000 to compensate Mrs A for her loss and to allow Mrs A to undergo revision procedures in the future if they became necessary. 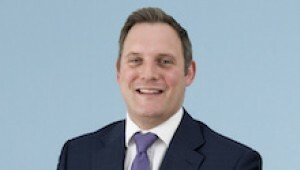 James Cahan specialises in urology cases. If you would like to ask James a question about a potential case, or if you have a general query about any personal injury, contact James Cahan at Thomson Snell & Passmore solicitors on 01892 701289 in confidence.